Winemaking: Harvest is done manually. The two grape varieties undergo preliminary selection and are vinified separately. 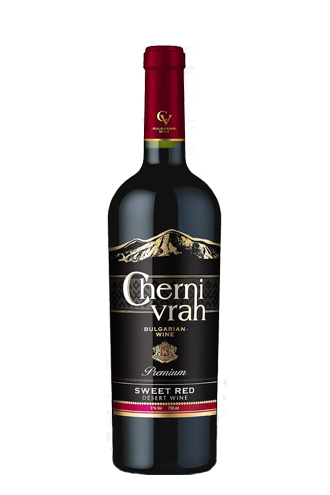 After reaching the specified sugar content, the fermenting must is fortified with 95% ethyl alcohol to give 17.5% alcohol in the wine. The resulting liqueur wine undergoes blending, processing and stabilization. Tasting Notes: Complex aroma of dried red fruits. 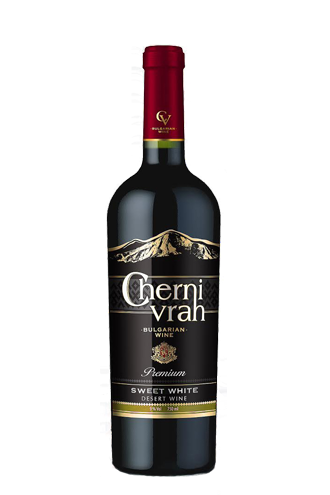 Extremely smooth structure, full-bodied, fruity, good balance of acid and sweetness, soft tannins, ripe cherries, hints of caramel, cocoa and a hints of vanilla. Food pairing suggestion: It combines with desserts. Serving temperature: 17°-20 ° C.
Vinification:Harvest is done manually: The two grape varieties undergo preliminary selection and are vinified separately. Grapes from Muscat are set at a low temperature of 8 ° C in order to retrieve its rich aromatic complex, while that of Rkatziteli is pressed gently, the goal is to avoid roughening of the must. In both varieties applies controlled fermentation at 14-17 ° C. After reaching the specified sugar content, the fermenting must is fortified with 95% ethyl alcohol to give 17.5% alcohol in the wine. The resulting liqueur wine undergoes blending, processing and stabilization. Tasting Notes: Liqueur white wine with a straw yellow color. Clean and expressive aromas of rose, with aftertaste of ripe pears, nuts and dried fruits, complex wine with great character. Food Pairing Suggestion:It combines with desserts. Serving temperature: 16°-18 °C.